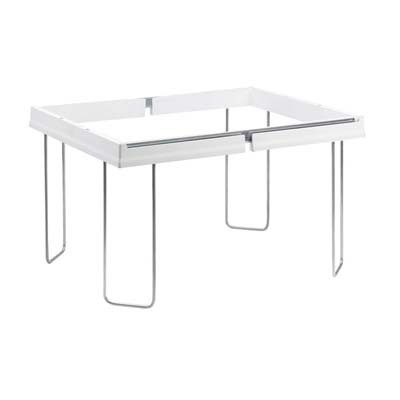 Frustrated by hanging folder frames that are difficult to assemble and then fall apart right away? 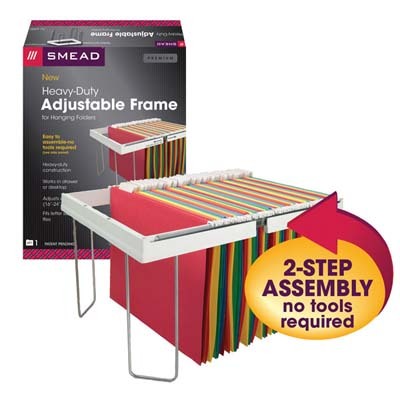 The Heavy-Duty Adjustable Frame for Hanging Folders is a durable, easy-to-assemble solution. The product snaps together securely in minutes without tools. 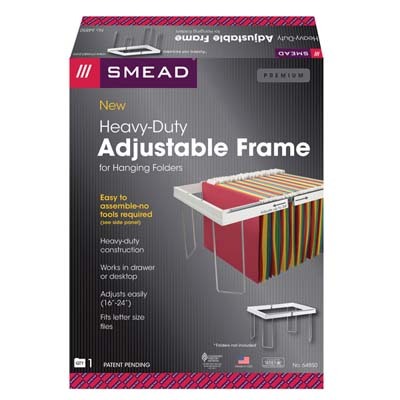 The assembled frame can be adjusted to fit a variety of drawer lengths (16" to 24" in length) with a simple push or pull and accommodates all Smead letter size hanging folders. It also works great on the desktop. Heavy-duty construction withstands heavy loads. 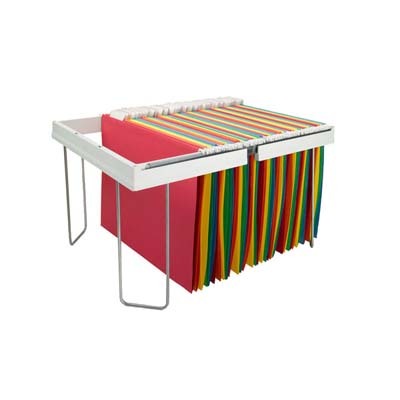 Hanging folders not included.